Power Manager's events occur in the background. Events themselves have no user interface, so they rely on notifications. 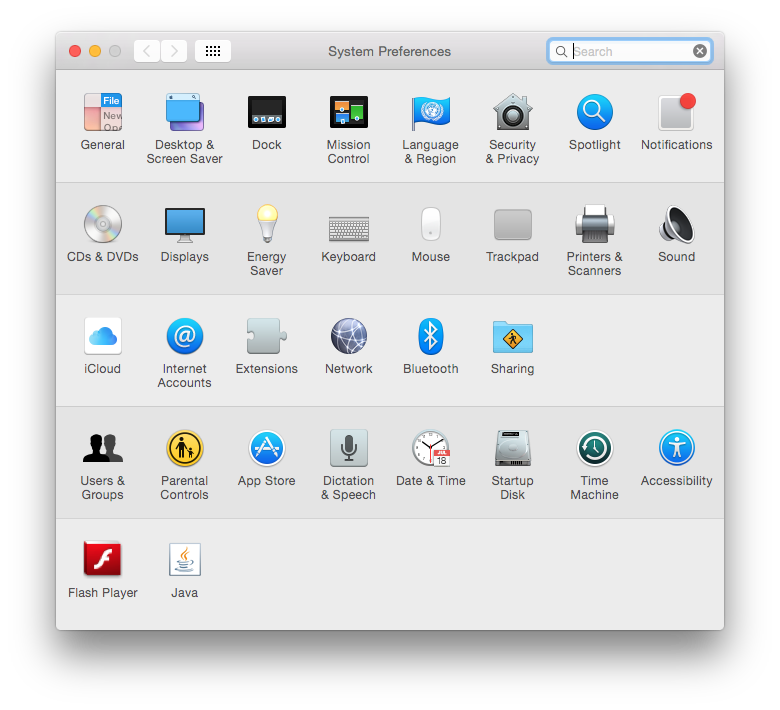 In OS X 10.8, and later, the Notification Center is responsible for showing Power Manager's notifications. Notification Center is service that you can adjust and manage. Let's take a look at the options available. Within the Notifications panel, select Power Manager Notifications; these are the settings for Power Manager. Power Manager uses the helper tool Power Manager Notifications to issue notifications. It is this helper tool's name you see in the System Preferences. Earlier versions of Power Manager used the tool pmnotify. If no notification has been shown, or you have not launched Power Manager, the Notifications panel may not yet show Power Manager Notifications. 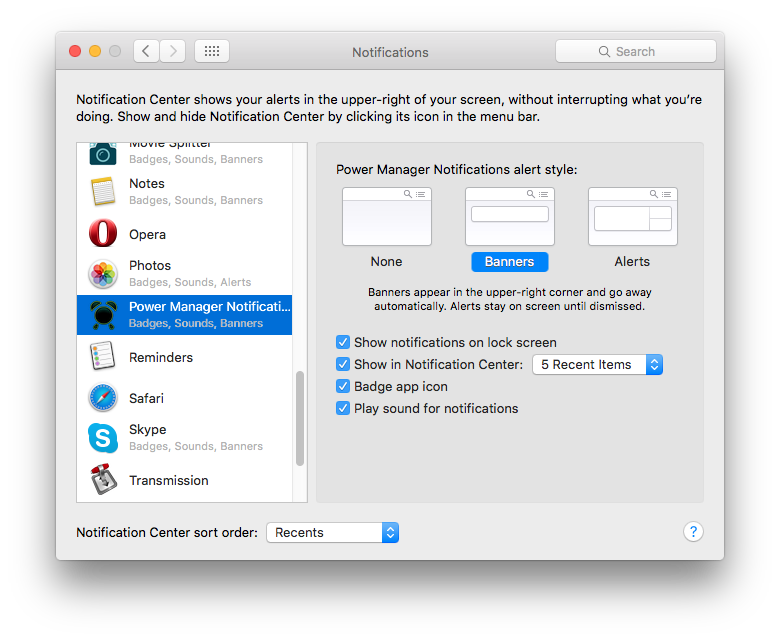 To completely turn off notifications from Power Manager, select None for pmnotify alert style. By default alerts shown by Power Manager will disappear after a few moments. If you are not at the computer at the time, you may miss these alerts. To have notifications from Power Manager remain visible until clicked, select Alerts for pmnotify alert style. You can change the Notification Center settings at any time. These settings do not affect how Power Manager or your events work. Your schedule will be triggered and perform as normal regardless of the Notification Center settings – only the alerts are affected. Notifications can also be adjusted on a per-event basis. The previous recipe, how to turn off notifications for a single event, walks through setting this up. This article was posted in PM4, Power Manager, and Recipe and tagged alert, and Notification Center.